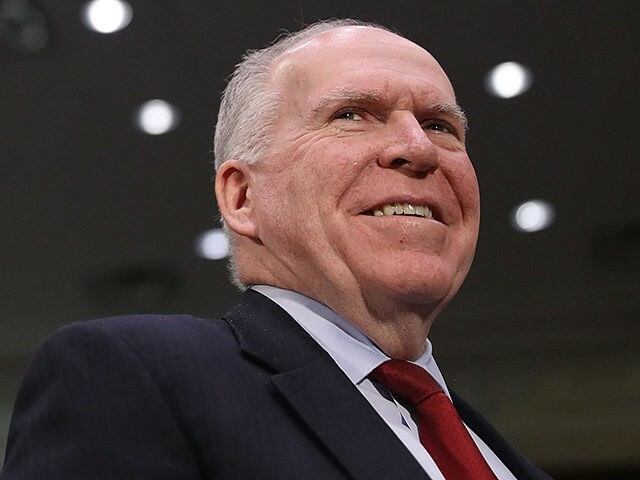 Former CIA Director John Brennan speculated Wednesday that President Donald Trump’s recent tweets suggest the president is concerned special counsel Robert Mueller’s Russia collusion investigation will put his “political” and “financial” future in jeopardy. The longtime intelligence official’s remark came in response to President Trump tweeting criticism of White House official Kellyanne Conway’s husband George, who the president refered to as a “stone cold loser” and “very jealous” of his wife’s successful career. George Conway, a frequent Trump critic who was once under consideration for a top job at the Justice Department, has questioned the president’s mental fitness in recent days. Brennan, another outspoken critic of the Trump, has previously predicted there will be another shoe to drop regarding the Mueller probe, despite admitting his has no special purview into the probe’s inner-workings. Appearing March 5th on MSNBC, the veteran Deep Stater teased he would not be surprised if more indictments were brought by Mueller by March 8th. Meanwhile, Washingon, D.C. is abuzz with speculation about the Mueller report’s release date. Observers say a release date may fall around mid-March, yet the special counsel office has yet to comment on the matter.